With his career on thin ice and fresh ink on his divorce papers, Sacramento PD Detective Connor Parks goes searching for solace at the bottom of a bottle…and winds up in the arms of a beautiful woman. By morning she’s gone, and the one clue she left behind sends Connor on a desperate mission to unravel a decade-old mystery—her abduction. Presumed dead for the last ten years, Claire Fletcher has been living her life as “Lynn,” a woman in the terrifying grip of her captor. After her unforgettable night with Connor, Claire clings to the hope that she’ll see him again, that he’ll follow her into the dark. But anyone who gets close to Claire has a way of turning up dead…and she’s unwittingly made Connor next on the list. Review: Wow-this book was an engaging, disturbing read. 15-year old Claire Fletcher is abducted walking to school one morning. What follows are years of torture and abuse (physical, sexual and psychological). Ten years later, Connor (a detective) meets a woman a bar and they share a sweet night together. In the morning, he finds a note with her name and address. 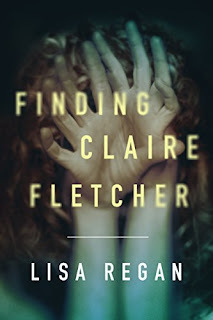 He soon discovers that "Claire" has been a missing person for the last decade. Connor starts to investigate to find out what happened to Claire and bring her home. What happened to Claire is every parents worse nightmare. Horrific on every level. I think the author did a good job with the psychological aspect showing how he was able to control Claire. I don't think her actions seemed in line with a victim at some points (i.e. her bar escapes and ability to interact with other men) but overall, this was a powerful read.